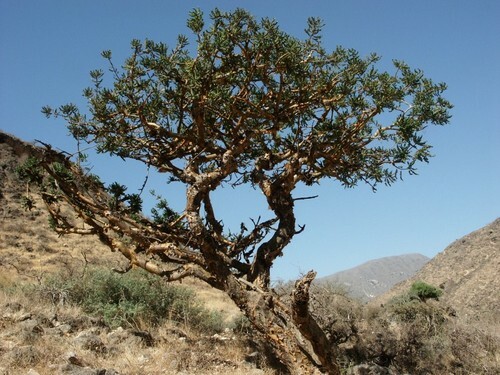 Mark Evans has this to say “The everyday Boswellia carterii essential oil Hermitage and many others offer would likely be described as diffusive, bright, terpenic, with citrus top notes over a resinous, slightly peppery and balsamic base. It’s all nicely calming and meditative and smells wonderful – ho hum. Now, let us completely blow your mind and take your frankincense experience up into the realm of draw-dropping beauty! This Frankincense Super Premium offering is produced from the finest tears possible and in this instance are usually reserved for the pleasure of the very wealthy to enjoy for burning as incense. Through our contact, Adam has managed to have the resin steam distilled resulting in this super premium frankincense carterii. Truly a once in a lifetime opportunity. As soon as you unscrew the cap, the room is filled with the fresh and complex top notes – citrus that actually smells of fresh juice and peel. Pine that clears the nose and mind of all else. Penetrating, resinous incense notes, sweet balsams and fruity pepper. The combined effect is one of stunning beauty that drives all other thoughts and concerns from the mind. The world stops and just for a moment, nothing else matters and you’re left in a mood of peaceful contemplation. The brighter notes continue for considerable longer than I’ve ever experienced with any frankincense and even the next morning, there’s still a sultry, dry mandarin and wood scent left on the strip.